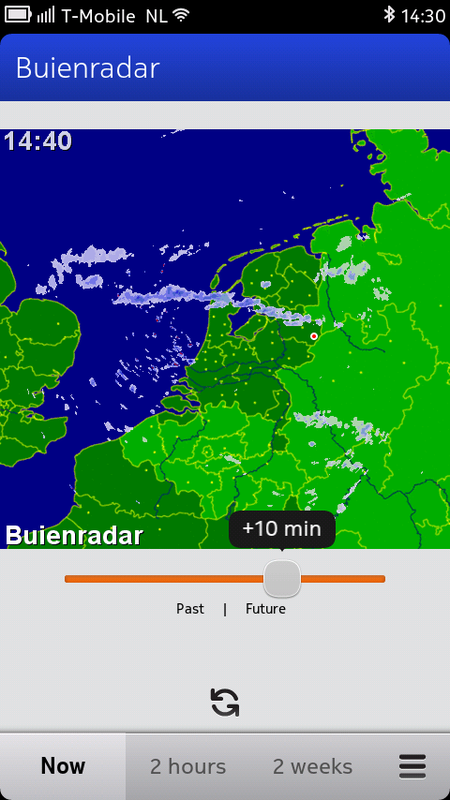 Buienradar (precipitation radar) shows a map of current precipitation in the Netherlands. 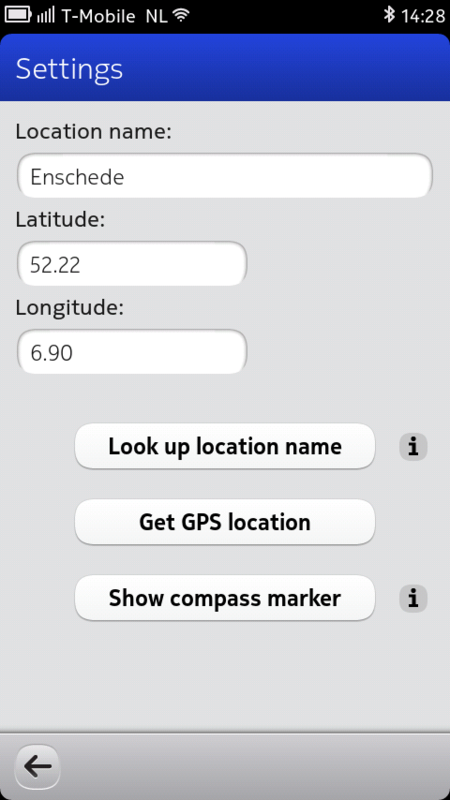 It can also show a two hours and two weeks prognosis for a user chosen location. 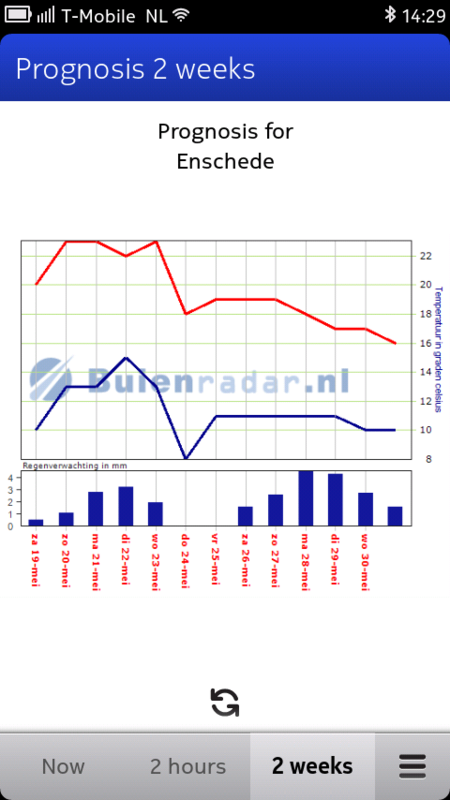 Images and data obtained from the website buienradar.nl. Source code available from Bitbucket.